Previously, I wrote an article about what would happen if you had two computers with the same IP address on the same network: an IP address conflict. However, what happens when you have two computers with the same name on a network? If you’re running newer versions of Windows like Windows 10, Windows 8, or Windows 7, then everything will work fine. It’s only with older versions of Windows like Windows XP, Windows 2000, Windows 98, etc. 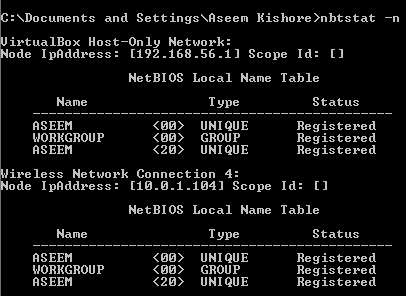 that rely on NETBIOS and WINS where you will run into issues. At first, you might think the obvious answer is to just rename one of the computers, right? Well, you may also get this error even if no two computers on the network have the same name! The problem could be caused by an old network adapter that is no longer present on the system. Here are a couple of ways you can try to solve this issue before renaming computers. If you still get the error, then move on to the following possible solutions. Go to Start, Run, and type in DEVMGMT.MSC in the box. 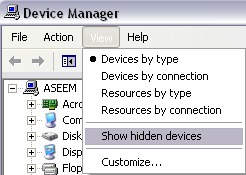 Now in Device Manager, click on View and choose Show Hidden Devices. 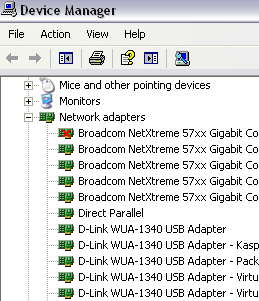 Now scroll down to Network Adapters and uninstall any that are showing with transparent icons. If nothing is grayed out, then your problem is also not with an old network adapter. You can go to Start, run, type in CMD, and then type in nbtstat –n at the command prompt and it’ll show you a conflicting workstation if there is one. Make sure to look at the one for network connection you are currently using, i.e. Local Area Connection or Wireless Network Connection. You can rename a computer by right-clicking on the My Computer icon on the desktop, choosing Properties and then clicking on Computer Name tab. 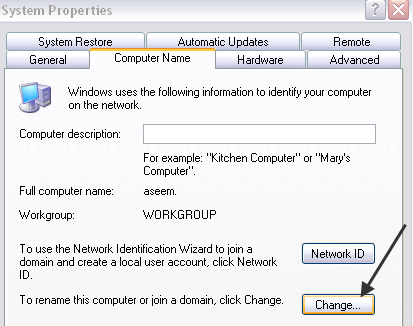 Click the Change button and type in a new name for the computer. Restart your computer and the problem should be gone. If you’re still having issues, post a comment here and I’ll try to help! Enjoy!